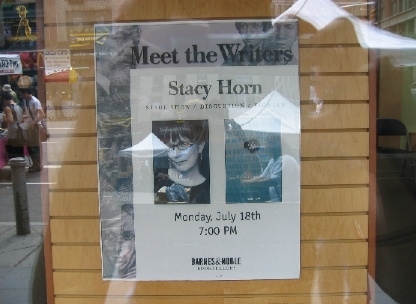 Stacy Horn » Blog Archive » I’m in the window! It’s set back from the street alas, you don’t really see it like you do the ones that are taped to the windows. Oh look! You can see an outline of me taking the picture.